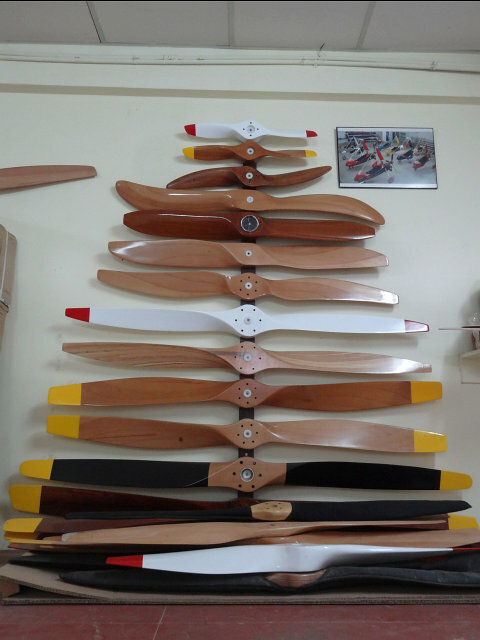 The best wooden propellers you can lay your hands on! —Prop Attached to a Rotax 503 on a powered paraglider. Propellers are made of Beech Wood, and cut to shape by CNC. 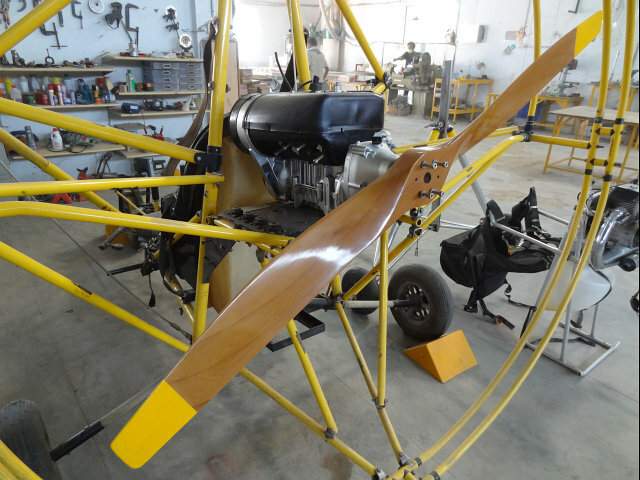 Each propeller is identical and the finish exemplary. In keeping with our quality standards, the propellers are balanced, as each of these propellers are intended to be used for an airborne application, both certified and certified. The propellers are in high demand, and sold to UAV manufacturers, and also used on para motoring equipment, as well as microlights such as the X-Air. Finish: Clear Glossy Finish, with tip coloring (customized) at no extra cost. This are the best quality propellers available in the South-Asian Sub Continent. Propellers are exported to the US, Europe & Australia for airborne applications. The same propellers for airborne applications may be procured for decorative purposes. Customizations available include mounting the prop on an ball bearing axis about which it may spin freely, when wall mounted. Half-props may also be made upon request as gifts and memorabilia, with custom marking & coloring if required. Props with clocks may also be made upon request. Note: These are not hand made decorative props as sold on some websites. Our product finish is unparalleled and aerodynamically perfect. What should be the best selection for the case of ceiling fan? Please help me.